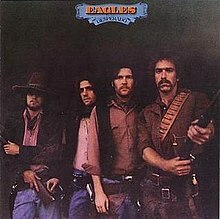 So this gets me singing in my head one of my favorite songs, actually the final medley from the Eagles 1973 album Desperado, Doolin' Daltons/Desperado (Reprise). This album came out when I was a senior in high school when themed albums were still being done by bands. If you didn't get a chance to see the History of the Eagles tour from 2013 to this past July, the band shows video of their old west shootout scenes featuring Jackson Browne and JD Souther who contributed to the concept and song writing on the album. I was especially thrilled to see Bernie Leadon join the stage with the Eagles on this tour. Glenn Frey wished Randy Meisner well and if you know anything about the Eagles recent history, Don Felder wasn't even mentioned. I do recommend seeing the documentary film, History of the Eagles (Netflix, Showtime), where you can learn many tidbits like the Felder feud and other back stories. 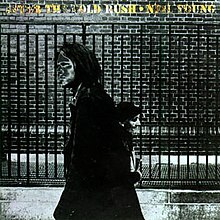 Next up and in my head this past week, a couple of songs from Neil Young's 1970, After the Gold Rush. I absolutely wore this vinyl record out on my bedroom record player. It is a classic with Tell Me Why and Only Love Can Break Your Heart as two more favorites of mine since I was a sophmore in high school. I remember once writing my first girl friend a letter (whom I had broken up with as a freshman) and included the lyrics to Tell Me Why. She wrote back and said she didn't understand what the hell I was trying to say to her. Well, being a 16 year old kid, I probably didn't know what I was trying to say either. So who better for me to quote than the brilliant and often abstract Neil Young. I'll take these three gems and include them in My 100 Songs playlist and enjoy your music Monday!